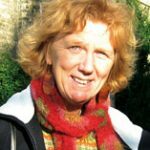 Catherine Burke is currently Reader in History of Childhood and Education at the Faculty of Education, University of Cambridge. Her research interests include, material cultures of childhood and education; the historical and contemporary relationship between pedagogy and architecture and design in learning environments; and visual methods in incorporating a child’s view or perspective in research. She has co-authored two books with Ian Grosvenor – The School I’d Like (Routledge 2003) and School(Reaktion 2008). Her most recent book is A Life in Education and Architecture. Mary Beaumont Medd 1907-2005 published in 2013 by Ashgate.She has edited a special issue of Paedagogica Historica, ‘Containing the School Child. Architectures and Pedagogies’, August, 2005, and in 2007 a special issue of History of Education on the theme of ‘The Body of the Schoolchild in the History of Education’. The Annual Conference of the Society was organised by Catherine in December 2009 and was held in Sheffield with the theme ‘Putting Education in its Place’. She is also the ‘Sources and Interpretations’ editor for the History of Education journal.